Jazz clarinettists have been prominent in crossing genres to broaden the music’s horizon. Way back in the 1930s, both Benny Goodman and Artie Shaw appropriated synagogue liturgical music and klezmer licks (try Benny’s And the Angels Sing or Artie’s theme tune, Nightmare). Chicago-style clarinettist Mickey Katz chose klezmer as his professional style and inspired Don Byron’s hommage CD, Don Byron Plays the Music of Mickey Katz (Nonesuch, 1993). Later, both Goodman and Shaw dipped confident toes into classical chamber repertoire and even commissioned works from ‘serious’ composers. So did Woody Herman, who asked Igor Stravinsky to compose Ebony Concerto for his First Herd. In the ’50s, bebopper and footloose globetrotter Tony Scott (DownBeat poll winning clarinettist of Sicilian origin, born Tony Sciacca) entered into exotic musical relationships with Serbs, Japanese and Zulus. Reassuringly, in Alegria Da Casa, the clarinet is till outward-bound. Here, the focus is Brazilian music, a simmering cataplana of multiple ingredients like bluesy Portuguese fado and sinuous West African rhythms. Anat Cohen enhances the recipe with her flawless technique, liquid silk tone and personal musical inspirations (jazz, Middle Eastern). 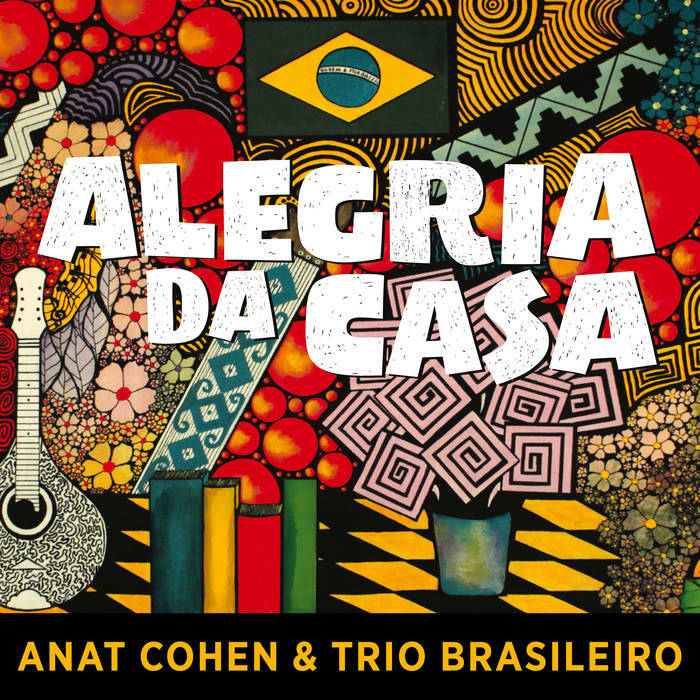 On this album recorded in Brasilia in 2013 but only released this summer, she integrates herself with the skilful musicians of Trio Brasileiro, performing eleven originals and local classics, while recreating the spontaneous and passionate atmosphere of a botequim, a small town corner bar where each band member takes a turn. For an East meets West meeting, the rapport is instant and exuberant. You'll hear choro classics: Santa Morena, Murmurando, echoes of folk idioms, sensuous samba on Waiting for Amalia (with the guest harmonica of Gabriel Grossi). The entire session is soaked in lyricism, frequently expressed in finger-popping unison passages by Anat and Douglas Lora. Altogether, it sounds as though a ball was being had by all. Totally joyous and highly commended. Anat Cohen: clarinet, Douglas Lora: 7-string violão guitar, Alexandre Lora: pandeiro & percussion, Dudu Maia: bandolin (Gabriel Grossi guest harmonica, track 3).